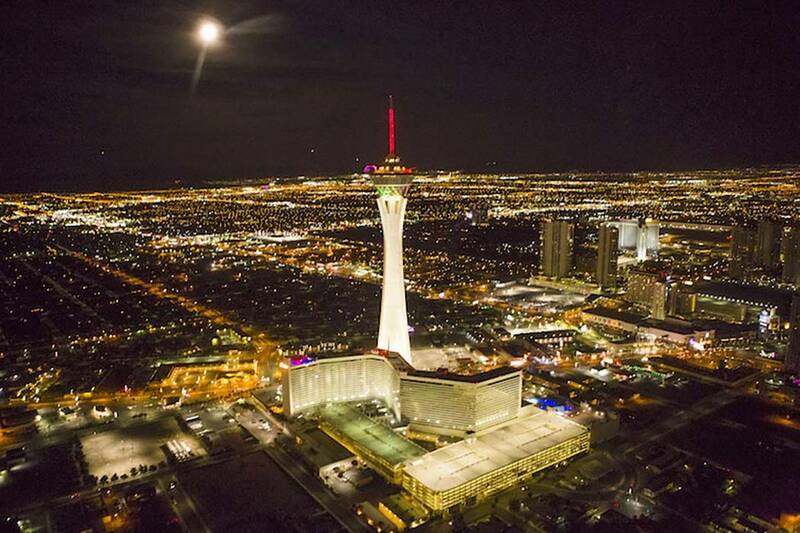 Golden Entertainment, operators of the PT’s Pubs chain in Southern Nevada, is acquiring a company that owns four Nevada casinos, including the iconic Stratosphere Casino Hotel & Tower, for $850 million. The deal with American Casino & Entertainment Properties also includes two Arizona Charlie’s properties in Las Vegas as well as the Aquarius in Laughlin. The transaction, announced early Monday, will include $781 million in cash and about 4 million shares of Golden stock issued to the four casinos’ current owner, Whitehall Street Real Estate Partners 2007, a real estate equity fund managed by the Merchant Banking Division of Goldman Sachs. It isn’t Golden’s first venture into casino operations. The company operates the Pahrump Nugget, Lakeside and Gold Town in Pahrump and the Rocky Gap Casino Resort in Flintstone, Maryland. In addition to those properties, Golden operates slot routes with more than 12,000 machines in Nevada and Montana. Golden is best known in Southern Nevada for its dominance of the local tavern market, operating more than 50 locations under six brands — PT’s Gold, PT’s Brewing, PT’s Ranch, Sean Patrick’s Pub & Grill, Sierra Gold and SG Bar — through its PT’s Entertainment Group. “This is a transformational event for our company, creating a significant gaming portfolio centered around Nevada-based casinos that, in addition to our Pahrump properties, will include two well-known Las Vegas locals casinos, a destination resort in Laughlin and the iconic Stratosphere property on the Las Vegas Strip,” Golden Chairman and CEO Blake Sartini said in a release announcing the transaction.